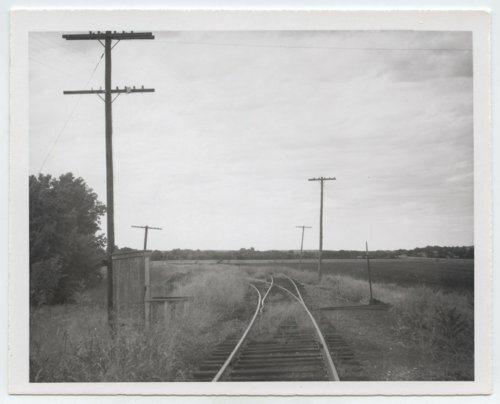 This photograph shows the Missouri Pacific Railroad Company's box depot at the Dexter Junction in Dexter, Kansas. The wooden structure at the left of the photograph was part of the Wichita Division, Conway Springs and Arkansas City Sub. Division at milepost 498.12.